Sailing ship yachts with red sails in the open Sea. Luxury boats. Slow Motion Shot. Sailing yacht in the open ocean. Yacht in the sea. World Tour on a yacht. Cruise on a yacht. 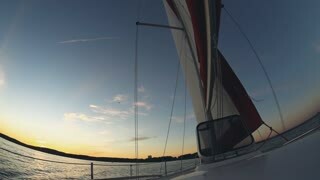 Aboard of sailing yacht. Yacht in the open sea. Rest on a yacht. World Tour on a yacht. Vacation on a yacht. 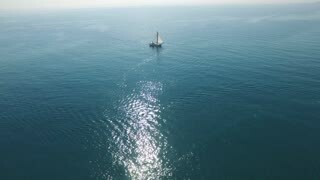 Yacht sailing in open water. Sail waves in wind, boat goes through water. Beautiful water landscape on sunset. AERIAL: Longtail boat sailing towards the open sea on idyllic summer evening. 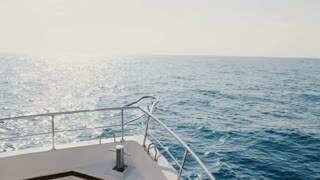 Beautiful view of white cruise yacht boat nose sailing on waves into sunny bright open sea horizon on clear summer day. 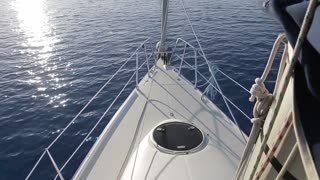 Beautiful POV shot of cruise yacht boat side sailing fast in open sea, cutting shining blue waves on clear sunny day. Beautiful top view of white yacht boat front side sailing in open sea cutting deep blue waves on clear sunny day. 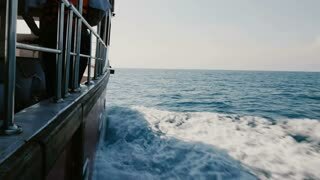 Camera is on the left side of cruise yacht boat sailing fast in open sea, cutting blue foaming waves on clear sunny day. Camera is inside cruise yacht boat sailing in open sea rocking on big waves on clear sunny day with rows of empty seats. 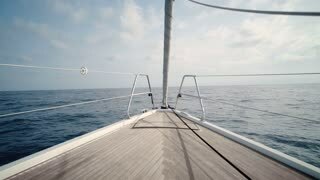 Beautiful view of sailing yacht boat nose front with little anchor logo moving into open sea horizon on clear sunny day.